This entry was posted on December 19, 2014 by stockdalewolfe. 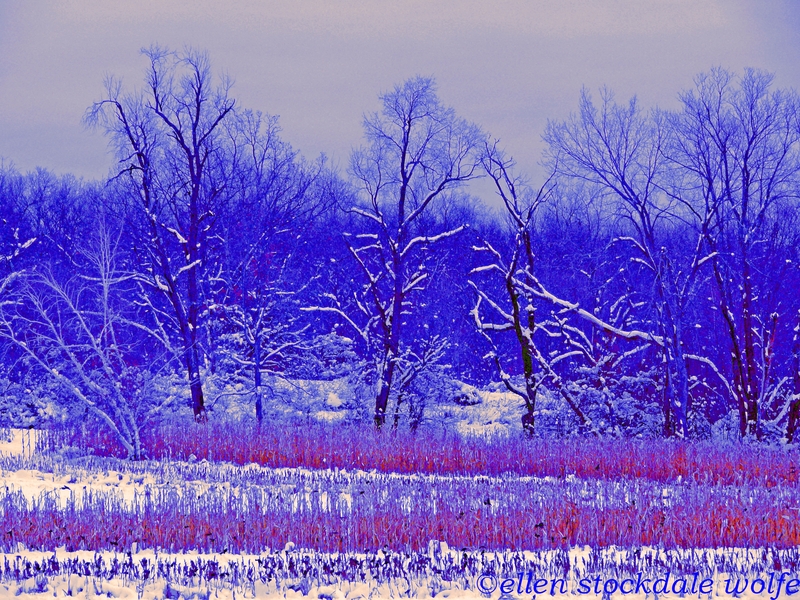 It was filed under Animal & Landscape Photographs, Christmas and Hanukkah, Nature Photography and was tagged with Christmas blues, Depression, Holiday blues, Landscape Photography, Seasonal Affective Disorder, Winter blues. Absolutely stunning. Thank you. Wishing you the best. Sending you and your husband my love and best wishes for 2015. Thank you so much, Kitt. Been trying to get to your posts to read but with a husband with pneumonia (he is hopefully better and on the mend) and having withdrawal problems from the Zyprexa and doing Christmas things I have had to delay my reading. Hope to get to it this afternoon. Wishing you and all your family love and peace and all the best of health and happiness in 2015!! Reading my blog is the least of your concerns. Hope that your husband heals soon. Pneumonia can be scary. Hope also that your withdrawal symptoms abate. My sister and I have always feared that my mother would die of pneumonia secondary to lymphoma. Horrible thing living with a compromised immune system. Because of my asthma, when we lived in the Mojave Desert I got scary sick with bronchitis that developed into pneumonia. I could not speak nor sleep, for my coughing went unabated. I hope that your husband heals soon. My allergist here treats me aggressively with very strong antibiotics and a nebulizer when I get upper respiratory infections to prevent complications. My asthma is better controlled now because of my allergist (inhalers and immunotherapy). Oh, that’s really scary. Yeah, my husband was having asthma with the bronchitis that turned to pneumonia. He was able to sleep fortunately most of the night but in the past that hasn’t been the case. Our doc gave him a nebulizer treatment and said to go to the ER if that happened again. Terrifying in all kinds of ways. We live in New York City and have had trips to the ER. A definite level of hell. I am sorry you have a compromised immune system. That was what my doc thought I had until I found out about the Zyprexa interactions with benzodiazepines. Husband is better, thanks be to God. He is on inhaler called Dulera but was on a second run of a stronger antibiotic and Prednisone. I am sorry, too, about your Mom. It is all so scary. My mother and mother-in-law have the compromised immune systems. I have allergies and asthma (immunotherapy to build up resistance to allergens), as does my son (and husband, but he is not treated for such – internist does not treat as aggressively as allergist, and he has not seen allergist yet). Love the intensity of this, Ellen and the sentiment. Sorry to hear you’ve both been having a tough time – hope you have a better 2015. May you find joy in this holiday season, Ellen. You have been wonderfully encouraging and attentive to all of our efforts here on WordPress. Perfect to lift anyone’s spirits! A long belated thank you!